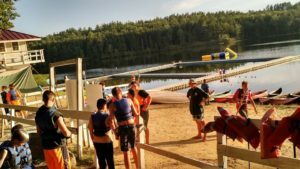 This camp at Wah-Tut-Ca is a multi-week Scout Camping Experience designed to give your Scout an unforgettable summer! The program has all of the traditional Scout Experiences combined with exceptional rare adventures and off-site treks designed for all Scouts. Every week brings unique experiences. Build lasting friendships and memories at camp. Play and learn along the shores and clear waters of Northwood Lake in Northwood NH. We recommend 3 WEEKS- Half Summer or 6 WEEKS-FULL SUMMER. You can stay as many weeks as you like. This includes Saturday Overnight Programs. Camp Gilwell is Provisional Camping at T.L. Storer Scout Reservation. Stay an Extra Week to work on merit badges! Brownsea II is a unique and exciting hands on approach designed to teach youth leadership skills through the actual practice and use of Scout Skills. Eagle Week is a week long summer camp adventure designed to focus on a scout’s path to Eagle. Scouts will have the opportunity to work on Merit Badges including an expanded offering of Eagle Required merit badges. Spend the week in the camp ponds learning how to dive with our own certified master instructor, and then finish with an incredible dive day in Lake Winnipesaukee. Scouts, Ventures, and Leaders can earn the PADI Open Water Diver certification, and Scouts also have the opportunity to complete SCUBA Diving Merit Badge, Kayaking Merit Badge, Snorkeling BSA, and the new National Outdoor Aquatics Award. 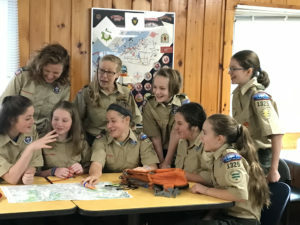 The Pathway to First Class program provides a comprehensive program to all campers leading to completion of many of the outdoor requirements for Tenderfoot, Second Class and First Class ranks. 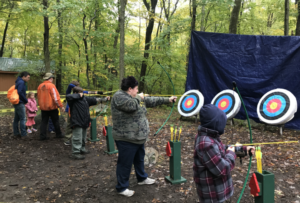 Scouts who have just crossed over or may be new to Scouting will find this program ideal for giving them confidence in outdoor skills and also allow a strong beginning along the Scouting trail for advancement. 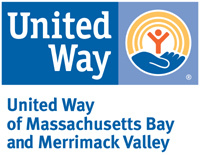 Need Finacial Assistance for your summer camp adventure? Apply for "Campership" consideration. Every Camp on this page has a 20% discount for Adventure Card Holders! When you register, login to the cardholders account with the User ID on their Card. For more information on the Card, click below. Leaders are able to register their unit for 2019 Summer Camp at T.L. Storer or Wah-Tut-Ca! Units must have a site reservation before you register. Contact Angela Rzeszut. Sign up as a group and choose your unit to pull right from your unit roster. Contact Program Assistant, Jenny Trickett, if you have questions about registration. 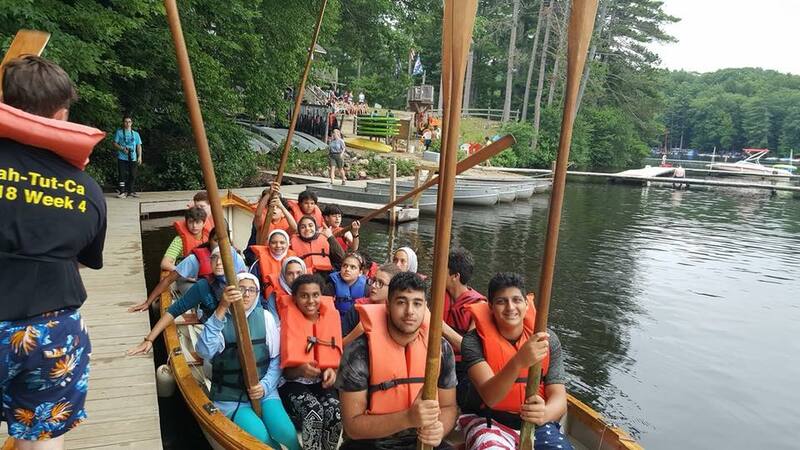 Looking to work for one of the Spirit of Adventure's NeXus Summer Camp Programs? You can apply to join the 2019 team! Apply Now! Each applicant between the ages of 14-17 must also reach out to one reference either an academic reference or a scouting reference and have them complete the Reference Form. It is the responsibility of the applicant to send this link to references and keep in contact with them to ensure the reference form is completed within 15 days of the application date. Would you like to be a Counselor In Training ? 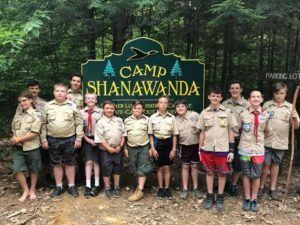 If you are 14 years old and are interested in learning about what it's like to be on staff and at the same time participate in program, earn merit badges and make friends, then being a CIT may be for you! All your meals and lodging for the weeks are included. Being a CIT is an excellent learning experience for any young Scout.